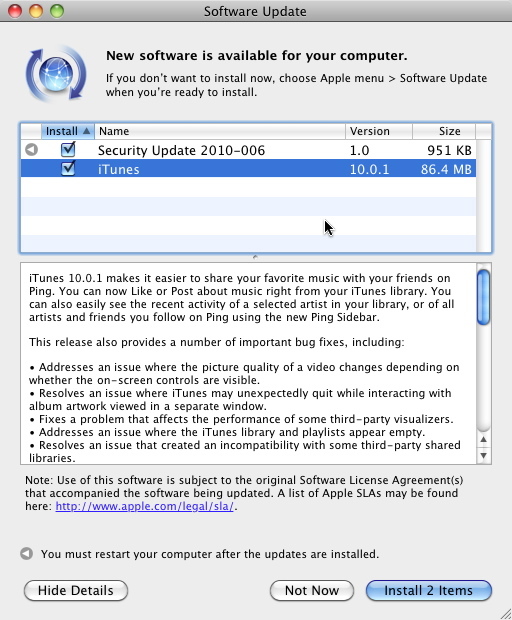 Apple has released iTunes 10.0.1. The update include many fixes and introduces the Ping Sidebar (a social network not available in the Saudi store until now). â€¢ Addresses an issue where the picture quality of a video changes depending on whether the on-screen controls are visible. 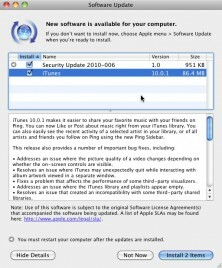 â€¢ Resolves an issue where iTunes may unexpectedly quit while interacting with album artwork viewed in a separate window. â€¢ Fixes a problem that affects the performance of some third-party visualizers. 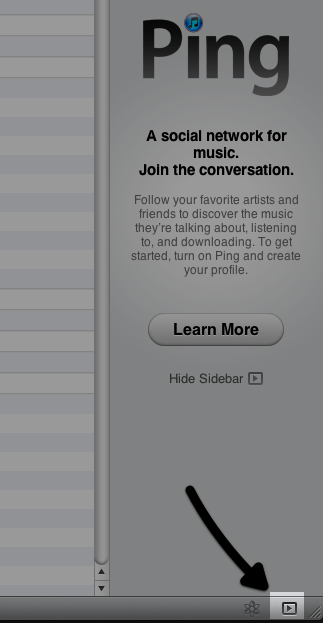 â€¢ Addresses an issue where the iTunes library and playlists appear empty. â€¢ Resolves an issue that created an incompatibility with some third-party shared libraries. Download links: iTunes 10.0.1 and for Windows 64-bit: iTunes 10 for Windows (64 bit). changing the icon would have been a huge fix though. Dose Ping work in saudi? last time i checked iTunes told me that it’s still not supported in my region.